We also introduced cash reduction in the system. Although most people didn’t like it because they felt it will add more problem to the exchange rate because people want to buy dollars but against all odds, the cashless policy has worked and it’s still working today. I must say that there was no time when the CBN received any letter from the Financial Reporting Council of Nigeria. At no point were we given any letter to respond to over any financial allegations. Also, nothing in the letter declared that I did anything wrong. I can tell you that CBN does not operate the way it’s been presented because all facts and statements of account are there for everybody to see. They said we spent N1.2billion on the police – even if that is true, is that corruption? Did I set up my security outfit and pay myself? I want to repeat that I have had my last day in office. I have achieved everything I set out to achieve. Looking at the suspension letter, I was not given the benefit of doubt to respond or explain myself. However, I have a court order now enforcing my fundamental human right because once they seize your passport, you don’t know the next step they will take. I took an exparte motion to court to ensure I am not harassed. When I was in King’s College, I was in Form 2 when Bukola Saraki came into Form 1. He has been my friend since we were 11years old. Also, El- Rufai has been my friend. I never knew I will be CBN Governor because I had wanted to study law, also Bukola Saraki never knew he would become a politician because he read medicine. These people remain my friends and, with all sincerity, every one of us has friends across political divides. These are things some Nigerians categorize and accuse me of being a politician. Also, I had known Governor Fashola and Bola Tinubu since I was in First Bank. I am a Lagos boy as well and my children were all given birth to and groomed in Lagos. When Nasir El- Rufai heard what happened, he decided to come to the Lagos airport so that if I am going to be arrested, it will be in the company of some of my friends. He never came to the airport as an APC member but as a friend. I am not a politician but people think I am one. Let me simply ask, if the Nigerian Constitution says don’t spend money without appropriation or says don’t pay subsidy and the Minister went ahead to pay, is it not a political problem? Technical problem is what we deal with at CBN, we deal with CRR and other issues. It is called principle of donation. 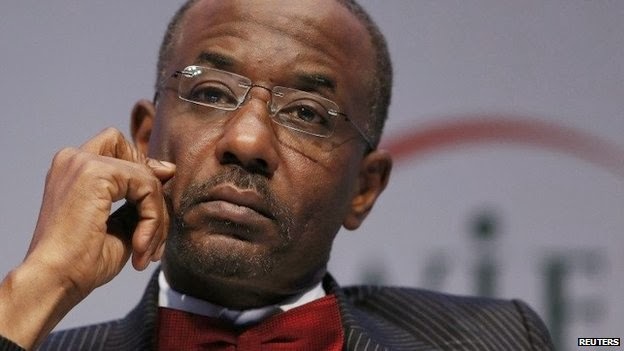 During the Ikeja bomb blast explosion, the CBN Governor then, Joseph Sanusi, gave N10million. So I was not the first person to do that. This is contained under Corporate Social Responsibility. The blast in Kano did not affect Kano citizens alone, SSS offices, police stations were attacked and these are federal offices which have several people from the South working there. I can tell you that 80percent of the victims of that bomb attack are not Kano citizens, there were several Christians from the South involved and I gave N100million to their families. What is bad in that? Why are people not complaining about the N500million I compelled the Bankers Committee to give to flood victims in Benue State and other places? What is wrong in it? With CSR, you cannot do everything in all the 36states of the federation; you will do the little you can. Under the Fiscal Responsibility Act of the CBN, we contribute 80percent into the Federation Account. In 2008 before I became Governor, CBN contributed N8billion into the Federation Account. In my last year, we gave N159billion. In 2012, we gave N80billion, in 2011, we gave N60billion. In the first four years of my term as CBN Governor, we gave government about N279billion. The National Assembly called to commend me. We have been able to give N600billion from surplus alone and the money is made from prudent finance, cutting down currency expenses, every over headline has gone down. So I can say, with all sense of humility, that the last thing anybody can accuse me of is financial recklessness.